Power Snack of choice: Chocolate !! Unique: One of Deb's diverse skills includes the ability to create an amazing meal from whatever is in the fridge. She loves to EAT! Bio: An avid outdoor enthusiast, Deb loves living & working in the Wasatch, where she can enjoy the best snow on earth. Dedicated to her passion of skiing, Deb also loves the opportunity to enjoy awesome Utah on her mountain bike, trail running & nordic skiing. As for my reasons for choosing Supergirl, she would love to have her speed, stamina and strength. Unique: I suffer from a rare condition called Powder Fever, resulting in an elevated heart-rate and emotional euphoria. Bio: The Wasatch mountains are alive in the winter and for two decades I have been drawn to the range's backcountry, both recreationally and professionally. As a an avalanche educator and professional mountain guide. I have gained an appreciation for the dynamic nature of our topography and ecosystem. I feel privileged to work in the mountains, and to be able to share and experience that passion with my wife and son. Unique: The amount of food I can put away considering my small frame. 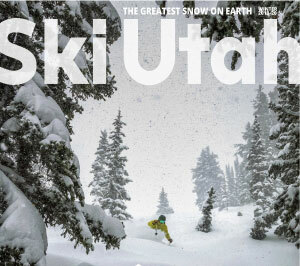 Bio: If you work outdoors, Utah offers some of the best scenery, skiing, biking and any other mountain sport you can think of. The backcountry is a the perfect place to enjoy all that the Wasatch has to offer & provides endless challenges. Unique: Snowmobiles more than he drives. Bio: A carpenter by trade, a guide in the Tetons in summers & a guide in the Wasatch in the winters. Unique: I burped the ABC's to win the talent contest at my first Boy Scout Camp! Unique: Living the good life in a cabin, high in the mountains. Unique: I have to snowmobile to my house in the winter. Bio: Currently a Captain / Paramedic with Park City Fire, with previous experience as a helicopter ski guide in Alaska, and a snowcat ski guide here in Utah. When he's not building frames for his talented, artist wife, you'll find him out climbing, biking and skiing in the magnificent mountains of Utah. Unique: Known for unintentionally breaking gear from skis to bikes & everything in between. Tip, don't let him borrow your gear. Bio: Mountain Bike race promoter for the Wasatch range during the spring & summer and a full-time Ski Utah employee staying on payroll as the website director.